Online Translator English To French: Happy National Translation Day! Online translator English to French is someone who may well be of great use to you either personally or for your business. Translators are so important in general that there is even a National Translation Day, held every 30th September. This is a chance to say thank you to a translator. There has been a National Translation Day ever since 1991, when the first one to celebrate those who work as language translator professionals was held. It was set up by the International Federation of Translators. The International Federation of Translators is affiliated with over 100 different professional associations, and represents 80,000 translators in 55 countries. 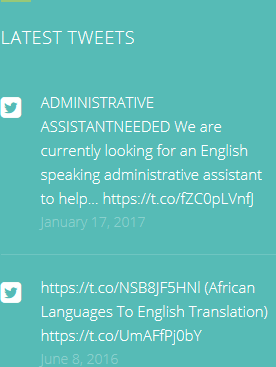 Its aim is to promote the profession of translation across the globe, and to improve conditions for those who work in English to French translation amongst other languages. The date of 30th September was chosen as this is the feast day for Saint Jerome. Why is that important? It’s because Saint Jerome is the patron saint of translators, and the translator of many biblical texts. On the day, itself each year there are many events taking place that showcase what translators do. These include many different talks and discussions. 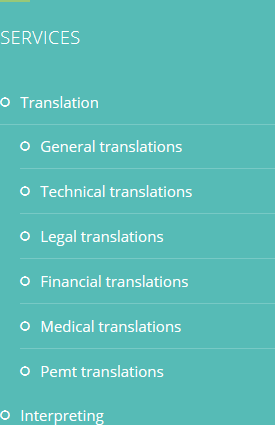 The events are the best way for publishers, academics, booksellers, scientists, medical writers, librarians, bloggers and others to find out more about translation services. For translators, it is a good way to explain why their excellent services are so important in the industries that are affected. They can give out lots of details about their companies during the special events that are held across the country. An online translator English to French is a specialised person who will make your document or text really shine. 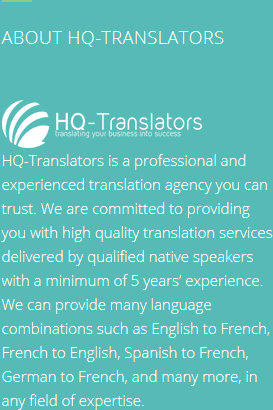 Find out more about HQ-Translators at https://hq-translators.com or send us a message to infos@hq-translators.com. If you prefer to talk to us, please call (00 237) 242 71 38 38 or (00 237) 693 21 69 27.